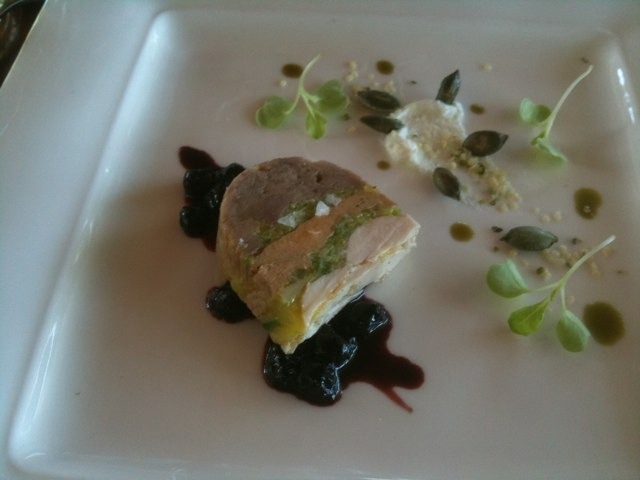 Duck/foie/chicken terrine, savoy cabbage sask berries, pumpk sds. Perfect paired w Viewpointe 07 Syrah reserve Both r delicate elegance! Previous Previous post: @zoltanszabo & I luvin battered Lk Erie Perch w Yuzu Hollandaise, coriander cress, paired w Viewpointe Pinot Grigio.